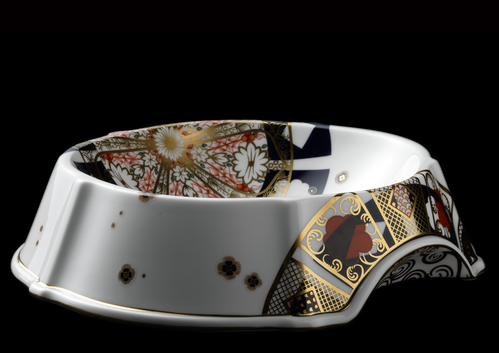 If It's Hip, It's Here (Archives): $2400 Dog Bowls? 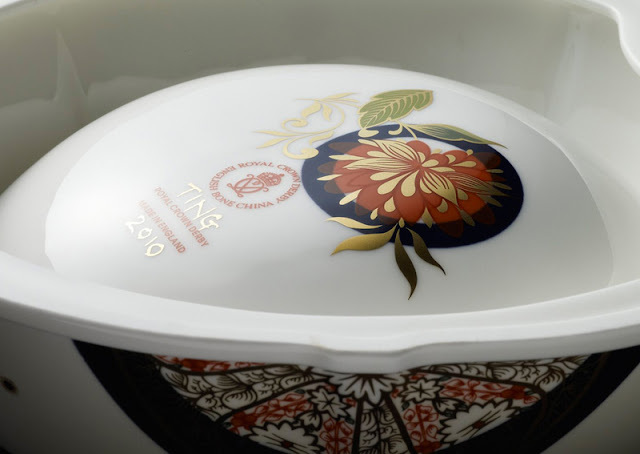 Royal Crown Derby ‘Imari’ Pattern Pet Bowls by Peter Ting. $2400 Dog Bowls? 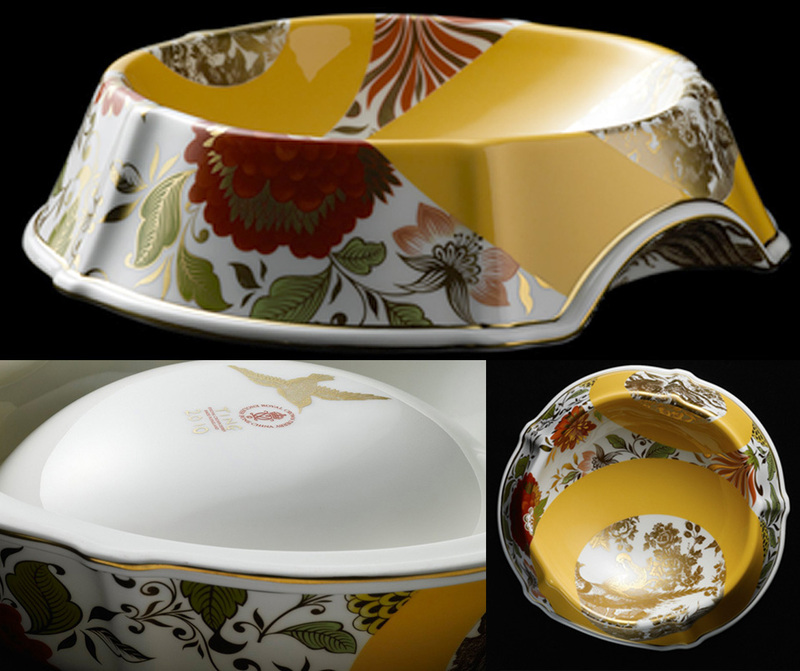 Royal Crown Derby ‘Imari’ Pattern Pet Bowls by Peter Ting. Does your pet deserve the Royal treatment? 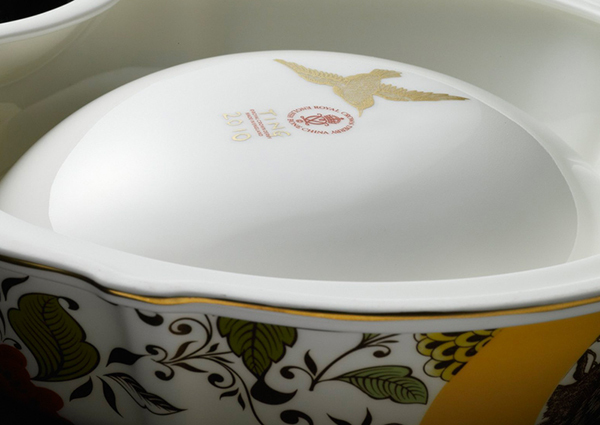 Lapping up in luxury? 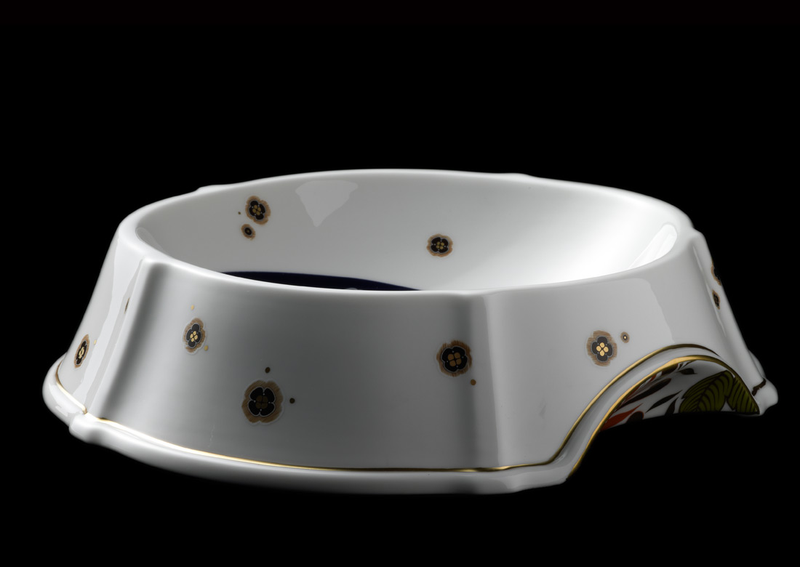 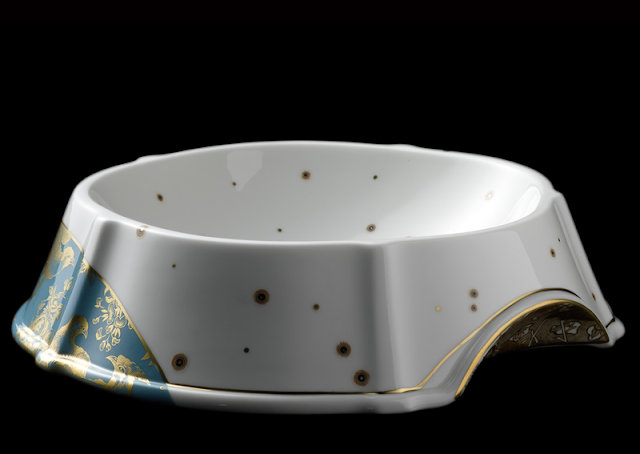 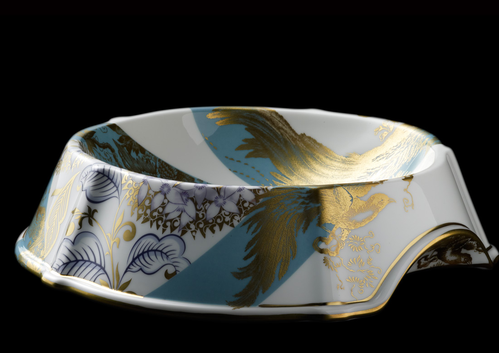 If so, then you may not mind dropping £1,476.00 ($2,371.76 USD) on one of these six unique fine china pet bowls by ceramacist and designer Peter Ting. 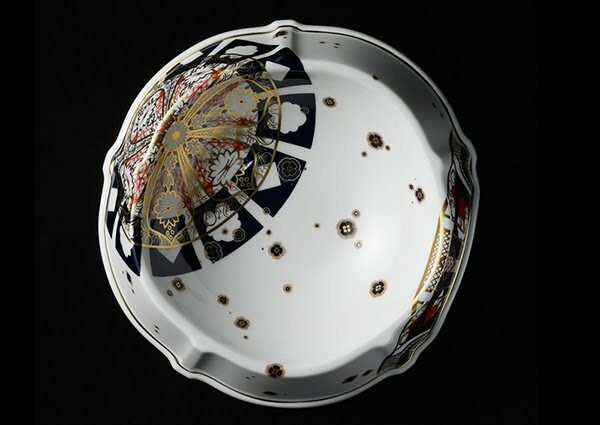 Especially designed for 20LTD, Peter deconstructs traditional Royal Crown Derby ‘Imari’ patterns and reassembles them into a contemporary collage. 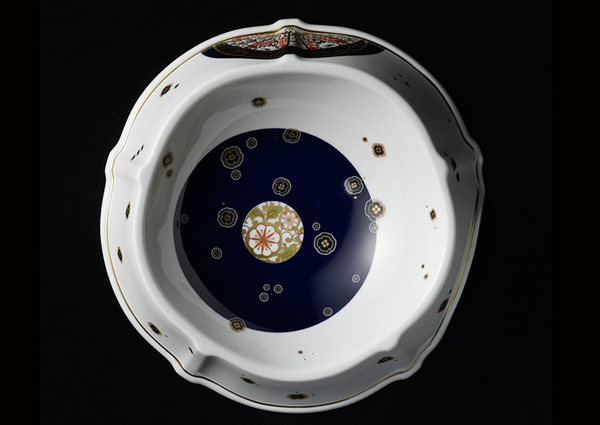 He works on the factory floor and personally creates each piece like a tailor - joining, matching, overlapping pattern upon pattern, colour against colour. 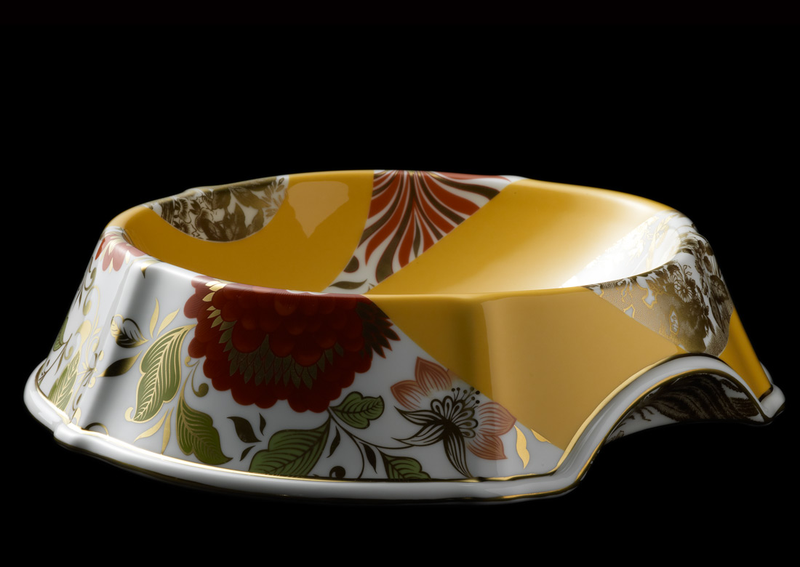 Each piece may take up to 6 firings to achieve the desired depth of colour and vibrancy. 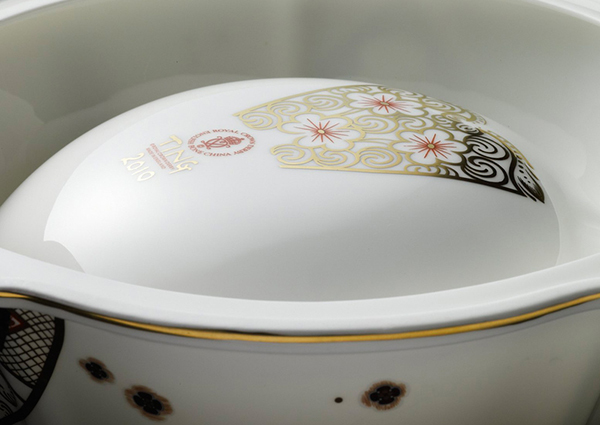 He signs each piece (together with Royal Crown Derby Chairman Hugh Gibson), and after the final firing, all the 22 ct gold is burnished by hand (a painstaking and labor intensive task, where all the gold is rubbed with damp silica sand, transforming the dull gold into a lustrous gleaming gilding). 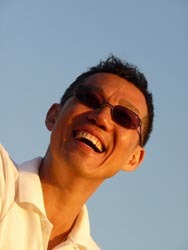 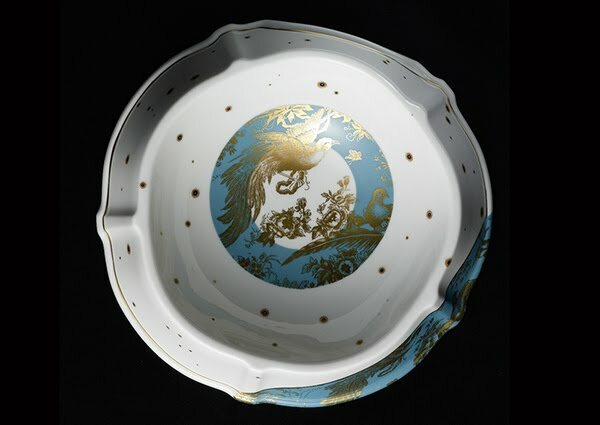 Previously Design Director at Thomas Goode and long-time artistic force behind Asprey, master ceramicist Peter Ting has an unparalleled knowledge of craft skills and industrial production processes, computer techniques and the history of ceramics. 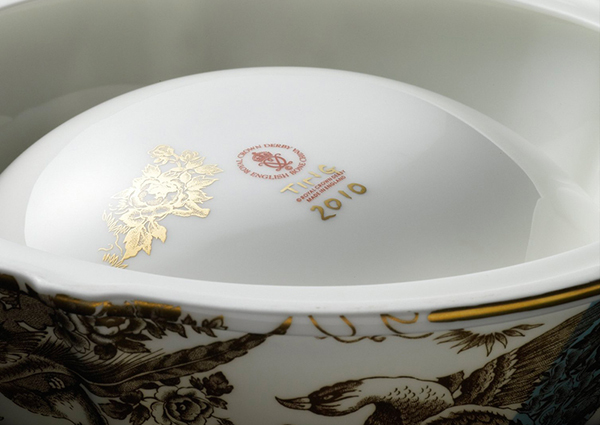 He has won various industry awards, designed china for top restaurants to Royal Households and his work has been exhibited throughout the world. 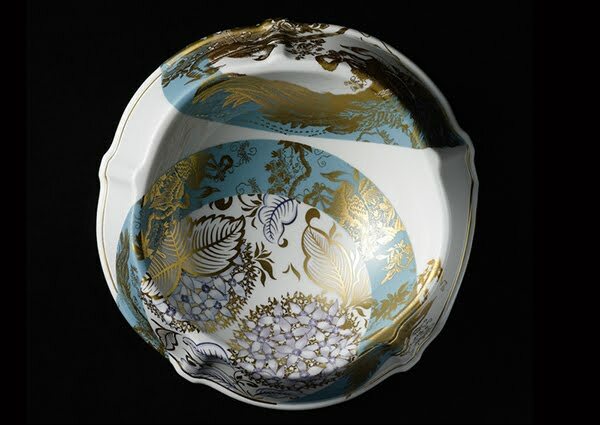 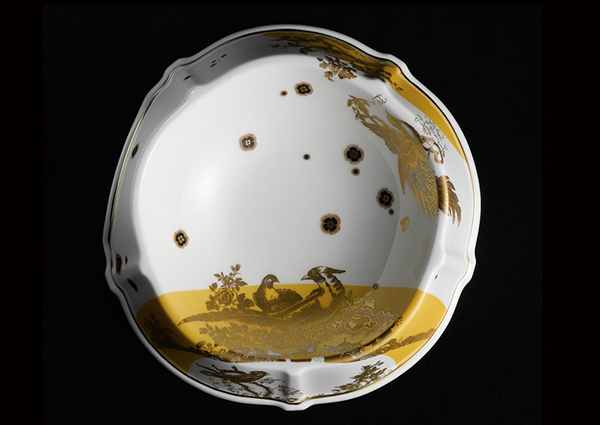 The Victoria & Albert Museum have acquired his work for Thomas Goode for their permanent collection. 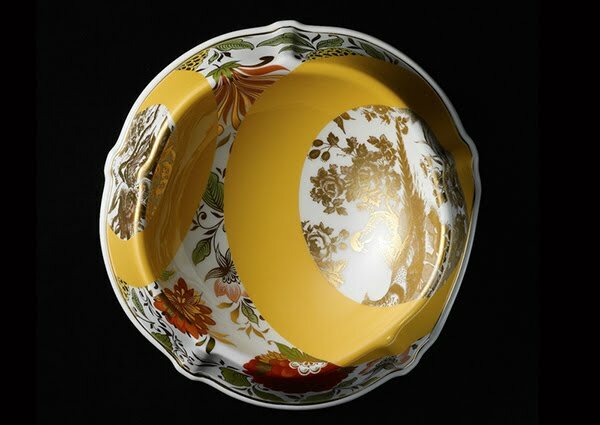 The seven individual one-off pieces (one has been sold) have been created exclusively by Peter for 20ltd.com and can only be purchased here.